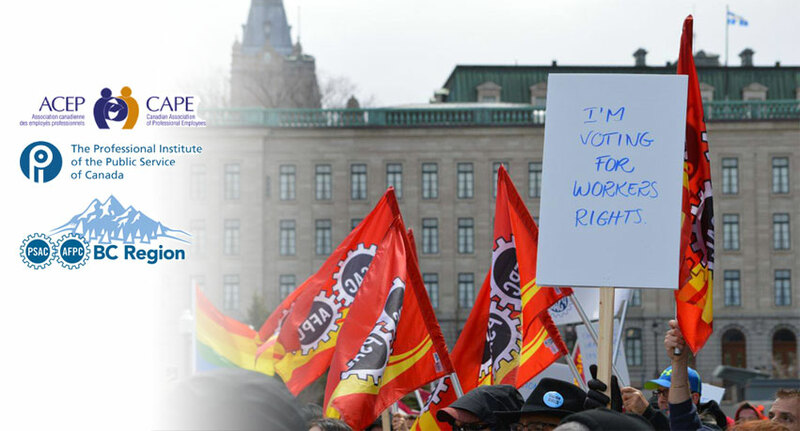 Join other Federal government workers and allies: CAPE, PIPSC and PSAC are teaming up to hold another pre-election rally at Library Square on Thursday. Join us for speakers, snacks and entertainment. Meet in the lobby of 1138 Melville Street at 12:00 on Thursday, September 17. We will leave at 12:05 and walk to Library Square. Speeches start at 12:20 will be done by 12:40, in time for you to walk back to work. Download the poster, print and distribute. We will also have a table at Wednesday's Wellness Fair at 1138 Melville Street, which runs from noon to 1:00 on September 16, in room 818.